"if milk product can be branded, why not brand the collection centre" a dairy farmer. Our farmers have pride in visiting Happy Cow Dairy milk collection centers. 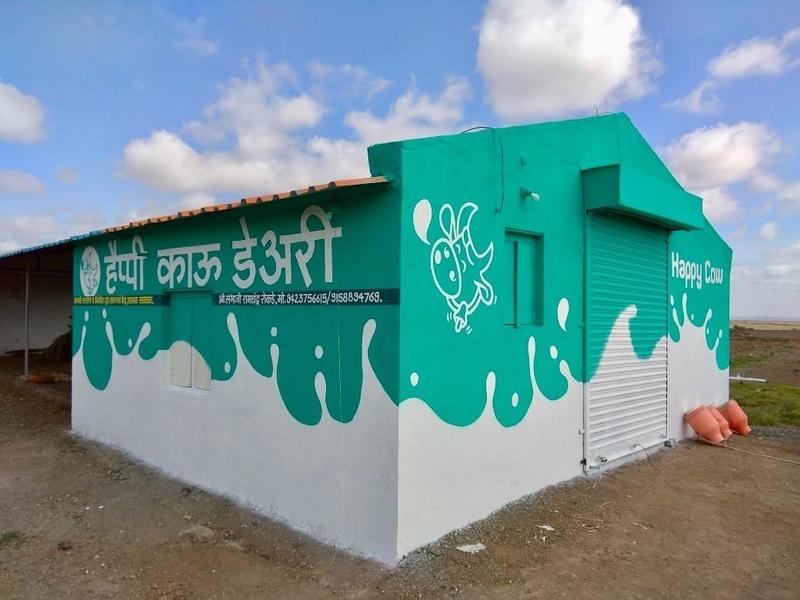 These are first of its kind as a branded milk collection center. Every center has unique shape of building. They are tastefully designd with selection of pleasant and bright colors. Altimately 'Feeling Good' leads to happiness.